A stir fry of red onions, tomatoes, green onion, cilantro, and french fries. Served with white rice and our cilantro soup. 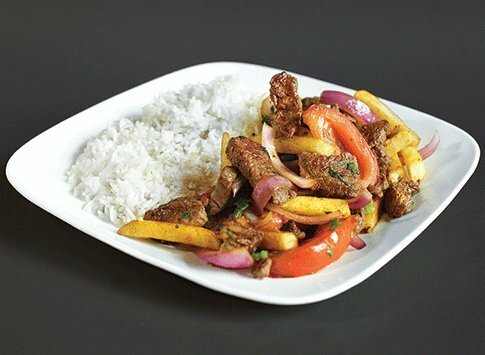 A stir fry of lean beef with red onions, tomatoes, green onion, cilantro, and french fries. Served with white rice and our cilantro soup. 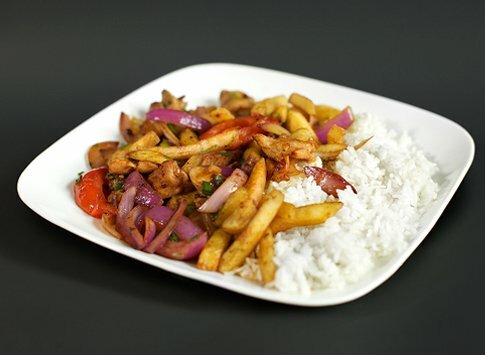 A stir fry of chicken with red onions, tomatoes, green onion, cilantro, and french fries. Served with white rice and our cilantro soup. 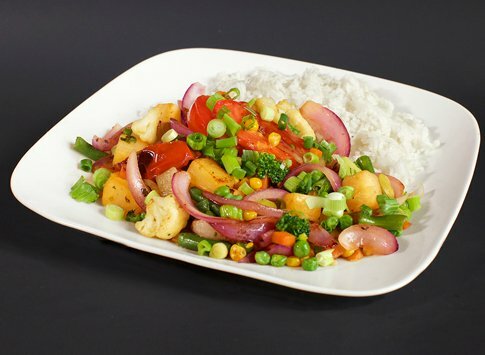 A stir fry of mixed veggies, red onions, tomatoes, green onion, cilantro, and french fries. Served with white rice and our cilantro soup.